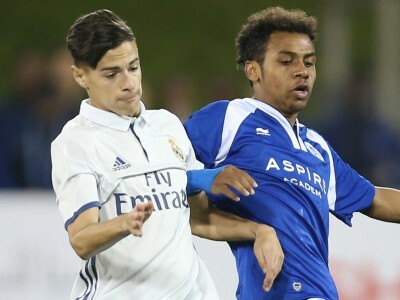 Real Madrid finally solved the mystery of the Al Kass International Cup final, winning their first tournament title in three trips to the last round, 2-0, over Aspire Academy last night at Aspire Zone. It was a landmark night for football in Qatar as well, as the Aspire team fought to the very end against the tournament’s strongest side. The second-place showing marked the local squad’s best result in the six-year history of Al Kass. 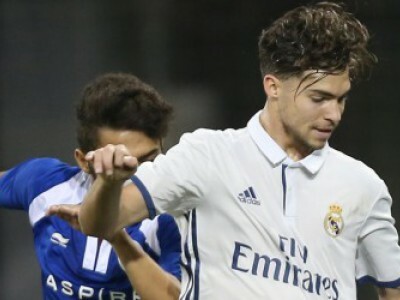 In the end, a combination of Real Madrid’s characteristic talent and Aspire’s final nerves was enough to lift the Spanish. 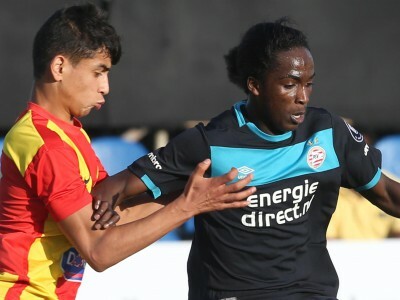 With the game scoreless in the 79th minute, Aspire keeper Shehab Mamdouh Ellethy parried a cross from Marvin Akinlabi in front of his own goal. Defender Saleh Saeed Binhalabi hesitated to clear, and his uncertain strike hit the shin of Madrid’s José Antonio Fernandez Simal and rolled agonisingly into the far corner of the net. There was no questioning Madrid’s second goal. On 89 minutes, Antonio Manuel Casas Marín found space from 30 yards and didn’t hesitate. His half-volley curled into the top corner past Ellethy, a world-class goal to win a world-class tournament. 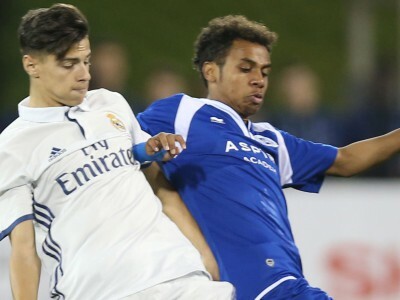 Madrid’s Miguel Baez Pérez was the tournament’s Most Outstanding Player, and shared the Golden Boot as the tournament’s top scorer at four goals with Franck Junior Evina of Bayern Munich and Kaito Mori of Kashiwa Reysol. Kashiwa’s Tomo Chiwata was named Most Outstanding Goalkeeper, and the Kashiwa squad won the Fair Play Award for the fewest bookings. The final was played in front of a capacity crowd, and the awards ceremony was capped off by a rousing confetti display set to the song “We are the Champions.” In addition to the packed stands at Aspire Zone, nearly 200,000 viewers tuned in to watch the tournament online. 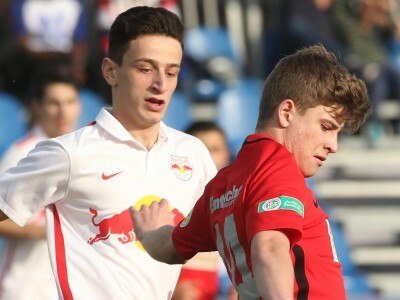 In the third-place match, Red Bull Salzburg (Austria) defeated Eintracht Frankfurt (Germany), 4-0. Salzburg, which fell to Aspire in the semi-finals, wasted no time claiming their bronze medals, scoring four goals in the first 30 minutes. 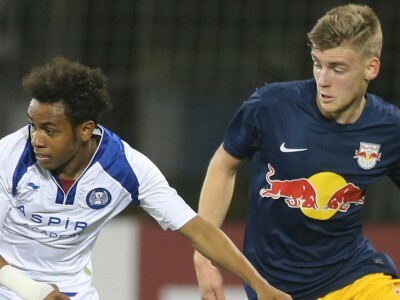 Aldin Aganovic scored two goals, and captain Benjamin Wallquist and Dominik Szoboszlai scored as well for Salzburg, who finished fourth in their Al Kass debut in 2016. “This was a high-level tournament with all the teams displaying professional tactics, techniques and strong physical ability. Today, we played a different style, and it worked. 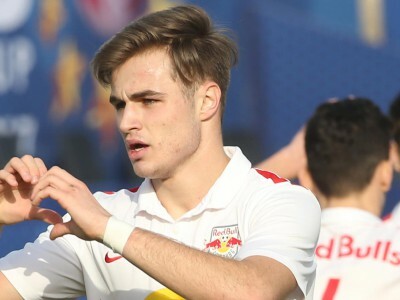 I think many of the other teams are impressed by our unique style, which has taken us this far in the tournament,” said Salzburg coach Marco Rose. 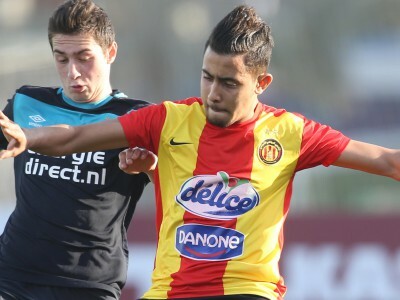 Moving down the table, in fifth place were Kashiwa Reysol (Japan), Paris Saint-Germain (France) were sixth, PSV Eindhoven (Netherlands) were seventh, and Espérance de Tunis (Tunisia) took eighth. Also competing in the tournament were Al Ahli (Saudi Arabia), Bayern Munich (Germany), Raja Casablanca (Morocco) and AS Roma (Italy). Currently celebrating its sixth year, Al Kass International Cup is organized by Al Kass Sports Channels, in collaboration with Aspire Zone Foundation and the Qatar Football Association. The Under-17 football tournament is a global championship for worldwide competitive clubs.